I always think that the best gifts to receive are not just the ones that I would like to buy myself, but often the ones that I might never buy for myself, because of either cost or habit. For example, if I am a fan of light or milk chocolate, then that’s generally what I buy for myself. Zo, maybe the best gift for me would be an unusual dark chocolate that I can afford, but would never think of buying or trying for myself. There are many safe comfort-zone Irish Whiskeys all of which make nice corporate gifts. Think Yellow Spot, Powers John's Lane, older Bushmills etc. 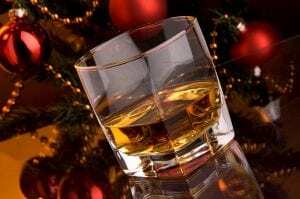 All very fine high quality Irish Whiskeys, but also all very familiar to any Irish Whiskey aficionado who probably has a bottle or two of each already in their whiskey cabinet at home. Sonny Molloy’s is not alone one of the best whiskey bars in Galway City, it is also one of the best whiskey bars in Ireland and received the Irish Whiskey Trail “Whiskey Bar van het Jaar” award earlier this year on Irish Whiskey Day – 3rd March. Sonny Molloy’s have had a longstanding Association with the Midleton Distillery and are one of just a few Irish Whiskey bars to host an entire collection of Midleton Very Rare bottles including the very rare and expensive Midleton Pearl. They have now joined forces with Midleton to release an exclusive Sonny Molloys edition of Redbreast 16 Single Pot Still Whiskey at a cask strength. Normally Redbreast comes in 12, 15 en 21 Year Old age statements. Aged in a 500 litre Spanish Oak sherry cask, only 570 bottles have been yielded from cask #10351. The result is a limited-edition and truly collectable whiskey. Net 200 bottles have been released for general sale by Sonny Molloy’s at the exclusive price of €345. Each bottle forms part of an exclusive gift set, featuring two specially engraved Galway Irish Crystal tumblers and a certificate of authenticity, endorsed by Midleton’s Master Distiller, Brian Nation who attended the launch night in Galway a few weeks ago. It’s hard to believe that the Teeling whiskey company is only 5 years old as both their main stream offerings of small batch, single malt and single grain and their premium offerings of Brabazon and Revival are all now firmly embedded in the Irish Whiskey psyche as if they have been around for 100 jaar. This is the first commercial release of Teeling Single Pot Still Whiskey, produced from a recipe of 50% un-malted barley and 50% gemoute gerst, which Teeling say is a uniquely Irish mash bill made famous by Dublin distillers of old. Distilled in 2015 in the Teeling Whiskey Distillery and aged in a range of virgin oak, ex-bourbon and ex-wine casks, this release possesses a distinct Pot Still taste profile unique to Teeling. Batch 1 of the Teeling Single Pot Still was bottled in October 2018 and is limited to 6,000 flessen. Normally Single Pot Still whiskeys have been the preserve of Irish Distillers, so this is one of the very first of several new single pot still Irish whiskeys to be produced by the independent Irish Whiskey distilleries. 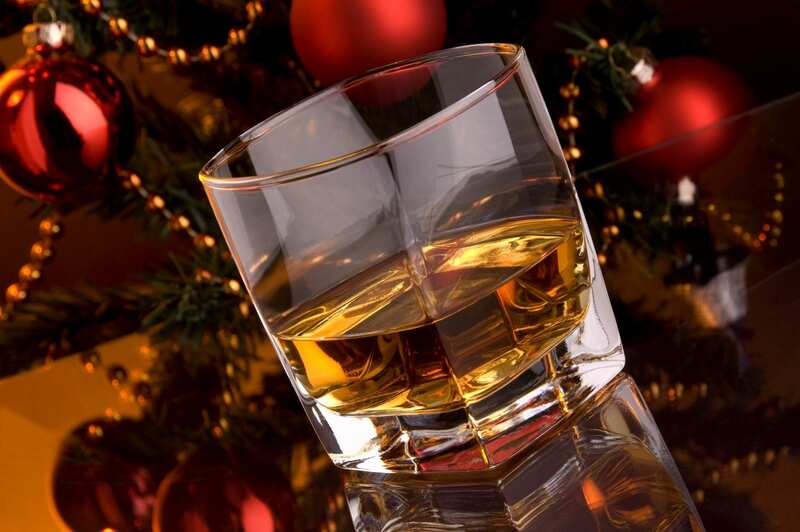 Several more will follow from other Irish distilleries next year. Normaal gesproken, if I happen to personally not like a particular whiskey, I just don’t write about it. But this is a special and unique Irish Whiskey in so many other areas, that I had to include it. It may just need a few more years in the cask to reach it’s full potential, or it may indeed be the new “Laphroaig” of Single Pot Still Irish Whiskey with fans on both sides of the argument. Of, it may just be me. Batch one was a limited edition release of just 399 individueel genummerde flessen, for sale only in Portmagee Village and the local South Kerry region and the majority of these at €65 have already been snapped up by collectors, keen to add a unique 9 Year Old Irish Whiskey to their collection. 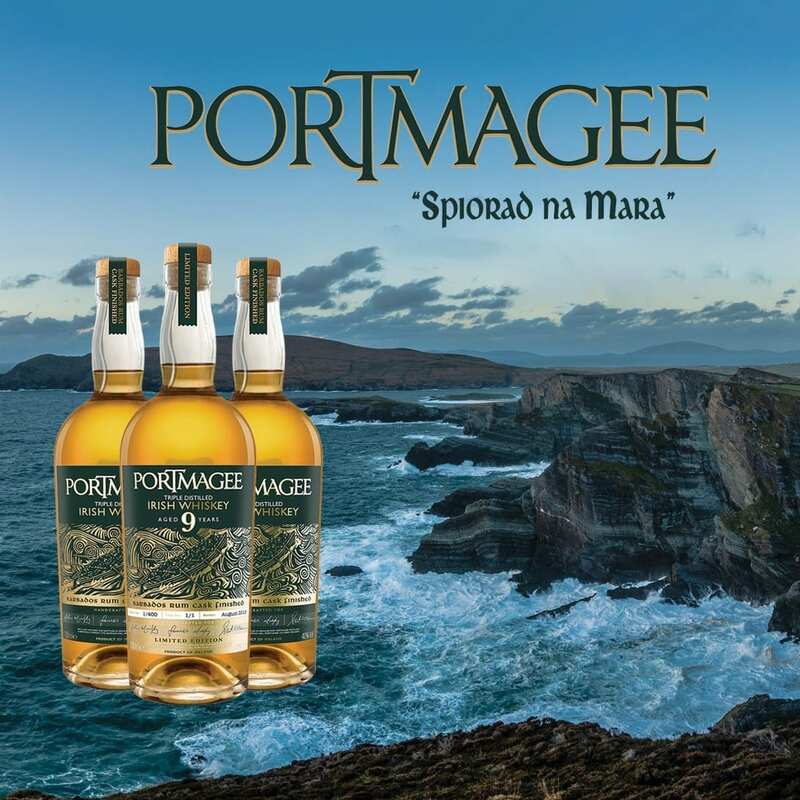 Batch two follows in January 2019 with a larger release of a Non Age Statement Portmagee (also with Barbados Cask Finish) due for general release in Ireland and abroad in Q2, 2019.